A debate regarding condition of Muslims in India and process of reform within Muslim community has been kindled by Harsh Mander’s article Sonia Sadly’ (IE March 7) and its response by Ramchandra Guha (Liberals O, IE)) While there are multiple factors influencing the process, broadly there are some within the community and some outside phenomenon which have positive-negative impact on the process of change. A complex combination of the two is what leads to social change over a period of time. While Mander is focusing on external negative influences on the Muslim community, in response Ramchandra Guha is focusing on practices within the Muslim community. What has been happening to the Muslim community as a whole during last few decades is very important to understand as to why reformers like Hamid Dalwai and Arif Mohammad Khan could not cut ice. What is retarding the reform in the community is the increasing sense of insecurity. There are two major phenomena which have heightened this sense of security. At national level the rising communal violence has lead to loss of lives, home and means of livelihood. There is also a great amount of overall economic marginalization of the community for various reasons. These two have impacted on the community to stick to retrograde norms with the conservative Maulanas calling the shots. Globally, the politics of control over oil resources leading to the rise of terrorism in the name of Islam, has led to rise of global Islamophobia and demonization of Muslims. The very Muslim identity is being presented as a threat to the society. We saw the impact of both of these in rise in the hold of obscurantist leadership and practices within the country. Way back I did observe that my research scholars, in the aftermath of 1992-93 Mumbai violence, started visiting the mosque more often. My faculty colleague switched from a religion neutral surname to one which flaunted his Muslim identity. While, living in IIT Bombay campus also observed that young Muslim girls, wearing salwar kameez or pants tee shirts took recourse to burqa in the aftermath of Gujarat carnage of 2002. In the wake of Makkah Masjid, Malegaon, Samjhauta and Ajmer blasts the immediate action from the police force was to arrest many Muslim young men, who were put behind the bars for years before the process of law rescued them. This again came as a great dampener to the process of reform, even education to which a section of Muslim community was avidly longing was put on the backburner in the aftermath of Batla House encounter and demonization of places like Azamgadh or Bhatkal. How can the reform process succeed in the besieged community? By now, as Mander points out the political marginalization of the community are complete. The aftermath of communal violence came in the form of ghettoization of Muslim community in places like Mumbra close to Mumbai (92-93 violence) and Juhapura (2002), how much reform can be brought in the intimidated, ghettoized communities. Surely there has been a great effort by many enlightened Muslims to promote education within the community. I did happen to meet successful Muslims professionals in a trip to US. Most of them came forward with a single minded devotion to encourage education among Indian Muslims by supporting educational institutions and by giving scholarship to young Muslim girls and boys, to boost what the reformers like J S Bandookwala in Gujarat and many a Muslim organization scattered all over the country are doing. In the present political scenario the fulcrum of politics is shifting to the right and the politicos have to flaunt their Hinduism for electoral purpose. At the same time the assertion like ‘all those living here are Hindus’ (Mohan Bhagwat) do come as an intimidation to sections of the community. In this backdrop the likes of Asghar Ali Engineer, who presented a humane version of Islam and gave the foundation for social reform remained marginalized from the mainstream Muslim community. Muslim community is in the bind. Political marginalization is not an isolated process; it is founded on process of Hate constructed against the community. For this the popularization of communal history and the sense of persecution of Hindus at the hands of earlier Muslim rulers and current Hafiz Saeed’s is part of the popular perception. One stands with Guha in appreciating the efforts of every Hamid Dalwai or Arif Mohammad Khan, but one also needs to understand the objective situation in which the Muslim community is being pushed into the corner. The ills of ‘two nation theory’, the thorny issue of Kashmir is even now acting as a tormentor of the Muslim community. 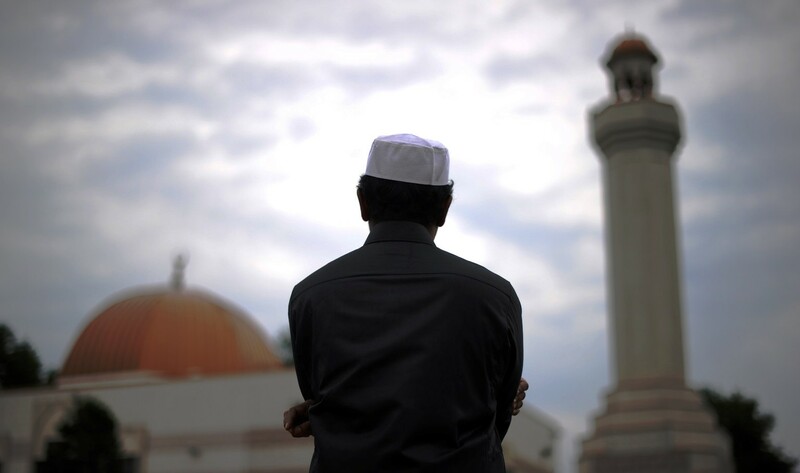 From last over a decade Muslim friends, whom one never perceived for their religious identity, have started raising the question, ‘what it means to be a Muslim in India today? The whole liberal tradition of Muslims from Khan Abdul Gaffar Khan, Zakir Hussain to Ustad Bismillah Khan, Sahir Ludhianvi, Kaifi Azami and Javed Akhtar are very much a part of Indian Muslim community. The point is why their acceptability is limited within the community. Even currently the group of ‘Muslims for Secular Democracy’ and ‘Moderate Muslim’ groups is raising their voices against the Mullah version of Islam. The question which should come to the fore is as to why these voices of sanity are not able to make to necessary dent in the broader sections of society gripped by conservatism? Currently, interestingly it is the time where due to impact of Hindu nationalist ideology even faith based knowledge and most retrograde values are being encouraged by the dominant political tendency. In these times to work for progressive reforms among Muslims becomes much more difficult. One hopes a combination of Hamid Dalwais’ passion for reform, Asghar Ali Engineer’s humane interpretation of Islam carries the day from within the community. Outside, the necessary condition is blunting the sharpness of Hindu nationalism, which is creating Hate, Ghettoization and marginalization of the community.